Sophie Lyons was called the queen of thieves but while she was under the guidance of Frederika “Marm” Mandelbaum she was known as the princess of thieves. Sophie Lyons was one of Marm’s best and brightest, almost like a daughter to her. Lyons would become one of the most notorious pick-pocket, con artist, shoplifter and thief the U.S had ever seen, ammasing an absolute fortune through out her career, she would finally reform and use her wealth for good. Born in 1848 in New York City and has quite an amazing story to tell. Although Sophie Lyons was of Jewish descent and not Irish she was living in a time when Irish dominated New York and some “Marm” Mandelbaum’s inner circle were Irish also. Sophie didnt have a great start to life, born into a family of criminals, her grandfather was a safe-cracker and her parents had extensive criminal records. Its said that Sophie’s mother who kept a “disorderly house” on the East Side would send Sophie out robbing and pick-pocketing at an early age, leading Sophie to be arrested for the first time in 1859 but it wouldnt be the last time she would be arrested. At 16, she married Maury Harris, who had won her over her with his claims of pick-pocket artistry. But when Harris was caught and imprisoned in New York State Prison for two years, Sophie was unimpressed and left him. 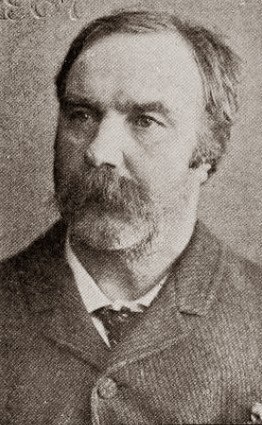 Sophie would marry again, to Ned Lyons who himself was a bank robber, they would have three children together but Ned was not too happy about his wife’s pick-pocketing and Sophie obliged and gave up her criminal ways, however her old habits would have her back in her criminal ways within six months. When caught and arrested for pickpocketing at a New Hampshire fair, she put on such a convincing act, with trembling, tears, and declarations that it was all a terrible mistake, she was let go. 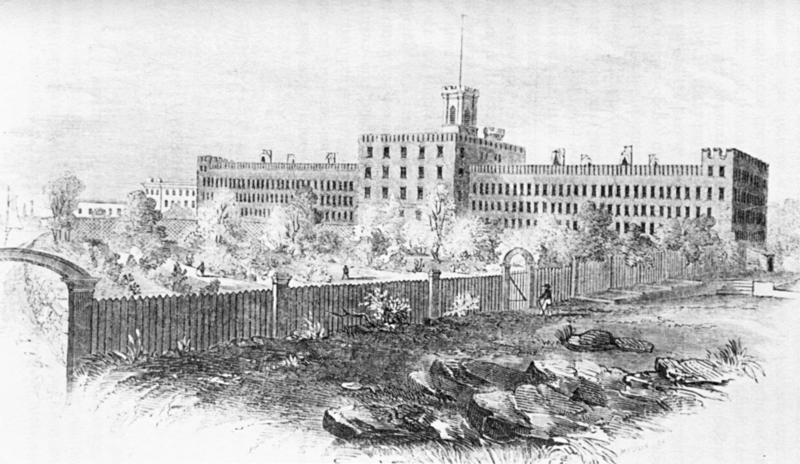 However luck would run out for Sophie in 1871, her compulsive stealing landed her a six-month jail term on Blackwell’s Island, Ned’s luck ran out shortly after, and he given a seven year sentence in Sing Sing prison. Weeks after Sophie Lyons was released for the six month sentence, she was arrested again for grand larceny and sentenced to five years’ imprisonment, also at Sing Sing. 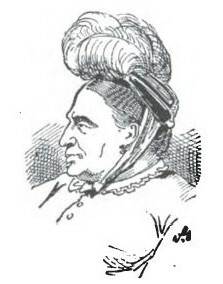 Having planned her own incarceration as part of a scheme to be near her husband, Lyons quickly set to work securing a position as personal servant to the prison’s head matron. Soon, after gaining the trust of the matron she was allowed to walk the matron’s children outside the prison walls. On one of these strolls, she met up with a member of her husband’s old gang, and they came up with a plan that would break Ned Lyons out of prison days later. Ned returned the favor by springing Sophie on December 19, 1872, the result of a maneuver involving a piece of wax with which Sophie made an impression of a prison door key. They both fled to Canada, where they survived on loot from robbing safes and vaults. Sophie tried to convince her husband to give up the criminal life, after a few years of constant arguing, they returned to the US and they separated. In 1876, Sophie and Ned were reunited by their shared interest stealing, but they were again arrested picking pockets at the Long Island Fair and sent back to Sing Sing. However, Sophie Lyons decided to leave her husband behind and began to plan to move herself up in the criminal world by turning to blackmail, con jobs, and bank heists, just like her mentor Marm Mandelbaum. Sophie found a new accomplice in Billy Burke and joined up with his gang of bank robbers. Although they would later marry, in business Sophie was the mastermind and Burke the assistant. Having a distaste for violence, Lyons instructed Burke that all their work would be accomplished through planning. Together they carried out many heists, and Lyons began to get rich. As her successes piled up and her reputation grew, Lyons and Burke took their trade to Europe. She used aliases such as Kate Wilson and Fannie Owens, she robbed banks and ran stolen jewels in virtually every major European capital. By the 1880s, she had earned the title “the Queen of Crime” and enjoyed wealth and properties from the French Riviera to the American West. Because Lyons never learned to read or write she hired tutors to educate her in languages, art, and literature. With her new education and social graces, she began mingling with wealthy Americans in Europe. Even the Vanderbilts accepted her as Mary Wilson, the daughter of a rich gold prospector. However, living the high life such as the one Sophie Lyons was living it became expensive and she was caught pickpocketing in Paris, her friends and even the American ambassador came to her aid, insisting that the arresting gendarme had surely made a mistake. Unruffled by the close call, Lyons soon pulled off another jewel heist in Paris which left her $250,000 richer. 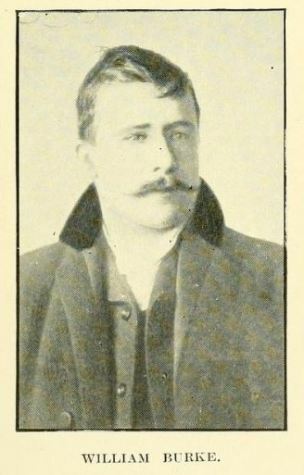 Lyons found it necessary to return to the United States. Having been in and out of prison from an early age Sophie Lyons finally decided to retire from a life of crime. 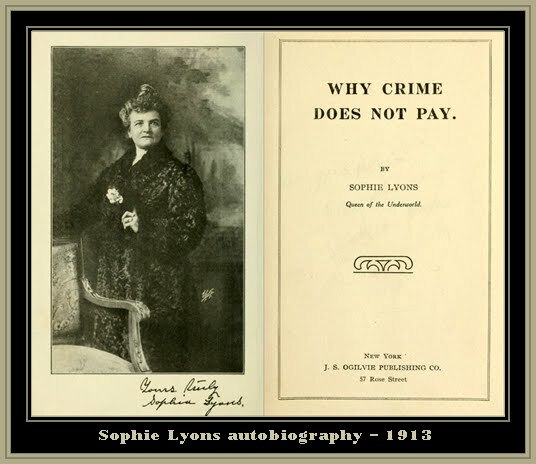 Following her retirement, Lyons eventually settled in Detroit, where she wrote her memoir, Why Crime Does Not Pay, and became a philanthropist and prison reformer. She invested her wealth into real estate and business investments worth $500,000 ($12.7 million in today’s money). By 1897 she had become America’s first society columnist, writing for the New York World. Her travels and social contacts provided her with a steady supply of high-society news. Lyons also published pamphlets advising criminals to change their ways and donated money to help build prison libraries throughout America. On May 1924, three men who Lyons had been trying to help came to visit her in her home provoked by rumors that Lyons’ riches were hidden somewhere in her house, viciously attacked her shattering her skull. She was found in a coma by neighbors and died in a hospital that night. As for Lyons chidren. She sent her two daughters to Canada to be raised in a convent; one daughter, Esther, was so ashamed of her mother’s reputation she asked her to never visit there and is said to have changed her name, they were estranged for the rest of Sophie’s life. Her son George died in Seattle before Sophie. Lyons’ estate was later estimated to be worth approximately $1 million. Her will was generous to her children except Esther. To her, Sophie Lyons left only $100 and a purse to keep it in.